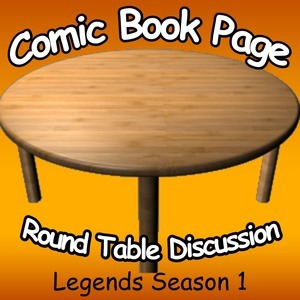 John Mayo, of ComicBookPage, and Kay Kellam, of PopArtsPlace, have a spoiler filled discussion about the first season of the TNT show Legends. Legends stars Sean Bean, Tina Majorino, Ali Larter and Steve Harris, and the discussion covers the entire season, the over-arching story arc, where the show is headed, and some of the story-writing points that worked best for John and Kay. This entry was posted in Podcast, Podcasts, Review, Television and tagged Ali Larter, Amber Valletta, American Horror Story, CIA, Deep Cover Operations, FBI, Game of Thrones, Heroes, Legends, Lone Ranger, Lord of the Rings, Martin Odum, Mason Cook, Morris Chestnut, Nurse Jackie, Revenge, Robert Littell, Sean Bean, Steve Harris, The Practice, Tina Majorino, TNT, True Blood, Veronica Mars on November 14, 2014 by Kay.